Guru Har Gobind, ([ɡʊru həɾɡobɪnd sɑhɪb]) also Saccha Padshah (“True Emperor”) (19 June 1595 – 3 March 1644)was the sixth of the Sikh gurus. He was eleven years old when he became Guru on 30 May 1606, after the execution of his father, Guru Arjan, by the Mughal emperor Jahangir. He is remembered for initiating a military tradition within Sikhism to resist Islamic persecution and protecting the freedom of religion.He had the longest tenure as Guru, lasting 37 years, 9 months and 3 days. Guru Hargobind was born in 1595 in Vadali Guru, a village 7 km west of Amritsar. His father, Guru Arjan, the fifth Guru of the Sikh faith, had been arrested, tortured and killed by order of the Mughal Emperor Jahangir. On 25 May 1606 Guru Arjan had nominated Hargobind as his successor and, after his execution on 30 May, the succession ceremony took place on 24 June 1606. Guru Hargobind had been advised by his father to start a military tradition to protect the Sikh people. and at the time of his ascension, he put on two swords: one indicated his spiritual authority (piri) and the other, his temporal authority (miri). He thus founded the military tradition in the Sikh faith.Guru Hargobind had three wives: Mata Damodari, Mata Nanaki and Mata Maha Devi. Guru Hargobind excelled in matters of state, and his Darbar (court) was noted for its splendour. The arming and training of some of his devoted followers began, the Guru came to possess seven hundred horses, and his Risaldari (army) grew to three hundred horsemen and sixty gunners in the due course of time. Additionally, five hundred men from the Majha area of the Punjab were recruited as infantry. Guru Hargobind built a fortress at Amritsar called Lohgarh “Fortress of iron”. He had his own flag and war-drum which was beaten twice a day. The Guru was a brilliant martial artist (shastarvidya)and an avid hunter.Guru Hargobind encouraged people to maintain physical fitness and keep their bodies ready for physical combat. According to Sikh tradition based on an old Punjabi manuscript Panjah Sakhian, Samarth Ramdas met Guru Hargobind (1595-1644) at Srinagar in the Garhval hills. The meeting, corroborated in a Marathi source, Ramdas Swami`s Bakhar, by Hanumant Swami, written in 1793, probably took place in the early 1630`s during Samarth Ramdas’s pilgrimage travels in the north and Guru Hargobind`s journey to Nanakmata in the east. It is said that as they came face to face with each other, Guru Hargobind had just returned from a hunting excursion. He was fully armed and rode a horse. “I had heard that you occupied the Gaddi of Guru Nanak”, said Swami Ramdas. “Guru Nanak was a Tyagi sadhu – a saint who had renounced the world. You are wearing arms and keeping an army and horses. You allow yourself to be addressed as Sacha Patshah, the True King. What sort of a sadhu are you?” asked the Maratha saint. The reasons for Guru Hargobind to arm his followers were many. Both externally and internally, the situation was changing. The Guru had to adjust his policy to the demands of the new environment. Sikhism had developed its organisation mostly during the tolerant days of Akbar. Akbar had never interfered with the development of Sikhism. He had even helped the Gurus in various ways. But the execution of Guru Arjan at the hands of Jahangir and imprisonment of Guru Hargobind definitely showed that sterner days were ahead. The policy of mere peaceful organisation no longer sufficed. Both Guru Arjan and Guru Hargobind had foreseen that protecting the Sikh community without the aid of arms was no longer possibleThe death of his father at the hands of Jahangir prompted him to emphasize the military dimension of the Sikh community. He symbolically wore two swords, which represented miri and piri (temporal power and spiritual authority). He built a fort to defend Ramdaspur and created a formal court, Akal Takht. These aggressive moves prompted Jahangir to jail Hargobind at Gwalior Fort. It is not clear as to how much time he spent as a prisoner. The year of his release appears to have been either 1611 or 1612. By that time, Jahangir had more or less reverted to tolerant policies of Akbar and the conservatives at the Mughal court had fallen out of his favor. After finding Hargobind innocent and harmless, he ordered his release. According to Sikh tradition, 52 Rajas who were imprisoned in the fort as hostages for opposing the Mughal empire were dismayed as they were losing a spiritual mentor. Guru Hargobind requested the Rajas to be freed along with him as well and stood surety for their loyal behavior. Jahangir ordered their release as well. Hargobind got a special gown stitched which had 52 hems. As Hargobind left the fort, the captive kings caught the hems of the cloak and came out along with him. [ During Jahangir’s reign, he fought a battle against the Mughals at Rohilla. The battle was in response to the militarisation of the Sikhs. The Mughals who were led by Governor Abdul Khan were defeated by the Sikhs.After his release, his relations with Jahangir remained mostly friendly and he held a position in the administration during his rule. He accompanied Jahangir to Kashmir and Rajputana and subdued Tara Chand of Nalagarh, who had continued for a long time in open rebellion and all efforts to subdue him had failed. A childhood friend of Guru Hargobind, Painde Khan, whose mother had been the nurse of the Guru, had become his enemy. The cause given, in some accounts, was a valuable hawk of a follower of the Guru which was taken by Khan, and when asked for, was resented by him. Other accounts note Khan’s vanity and his pride. This opportunity was used by Mughal officials, who saw Guru Hargobind as an ever-present danger. Painde Khan was appointed leader of the provincial troops and marched upon the Guru. Guru Hargobind was attacked, but the warlike apostle slew the friend of his youth, with his own hand, and proved again a victor. 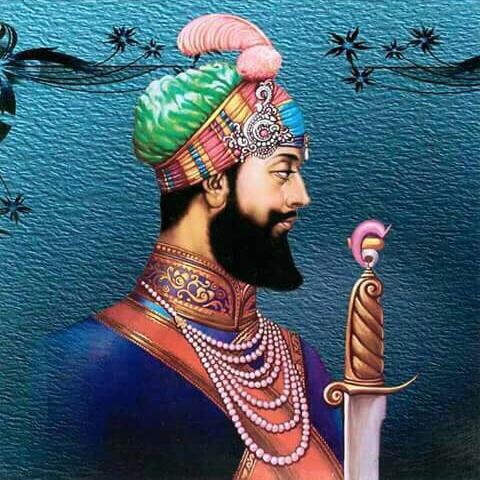 Guru Hargobind also fought the Battle of Kartarpur. He died at Kiratpur Rupnagar, Punjab, on 19 March 1644. During the era of Guru Hargobind, the Sikhs increased greatly in number, and the fiscal policy of Guru Arjan and the armed system of Guru Har Gobind had already formed the Sikhs into a kind of separate entity within the empire. The Guru was not unconscious of his latent influence, but in his private life never forgot his genuine character, and always styled himself Nanak, in deference to the firm belief of his Sikhs, that the soul of their great teacher was alive in each of his successors. Transformed the Sikh fraternity by introducing martial arts and weapons for the defence of the masses. Carried two swords of Miri and Piri. Built the Akal Takht in 1608 – which is now one of five Takhts (Seats of Power) of the Sikhs. Founded the city of Kiratpur in District Jalandhar, Punjab. He was imprisoned in the fort of Gwalior for one year and on release insisted that 52 fellow prisoners be freed as well. To mark this occasion, the Sikhs celebrate Bandi Chhor Divas. The first Guru to engage in warfare. The city Hargobindpur, in Majha region of Punjab, is named after him, which he won over from Mughals after defeating them in a battle.